The reporter who was awarded CNN’s “journalist of the Year” prize could face jail time for stealing donations destined for Syrian orphans. 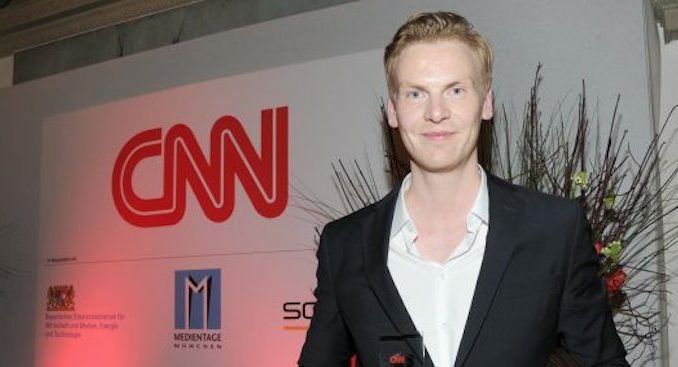 Reporter Claas Relotius, who recently confessed that he regularly faked stories in order to advance a globalist world view, is accused of soliciting donations from readers who thought they were donating to Syrian children, pocketing the money into his personal bank account. Just last week, Relotius admitted that he spent years fabricating articles for liberal outlets. BBC News reports: Der Spiegel says it is filing a criminal complaint alleging he solicited donations for Syrian orphans from readers with any proceeds going to his personal account.